Or here's another idea. When i was looking for a tank i googled that there are motorcycle scrapyards in Finland too. Maybe you pay a visit and have a look around? The tank might need some modification as well to get it to go a bit more forward so that there wont be such a huge gap between the headstock and the tank. Rims have arrived!! 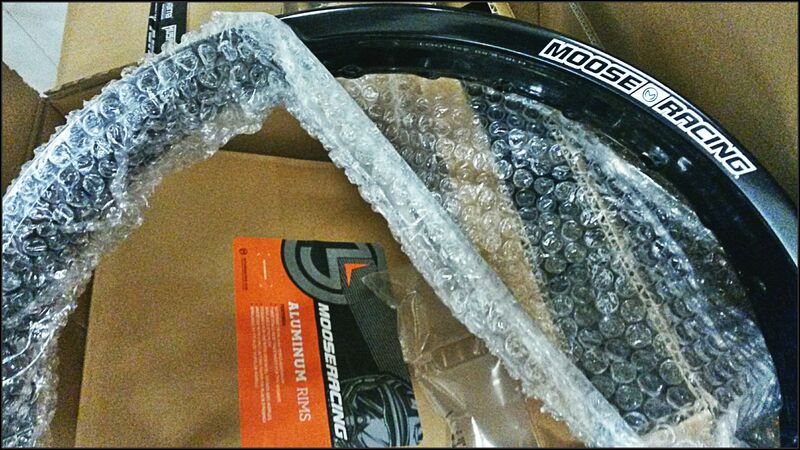 Nice and black Moose Racing rims. Only bad thing is that work is taking up too much of my time and haven't had a chance to disassemble the wheels yet! Vacation time is just around the corner tho! 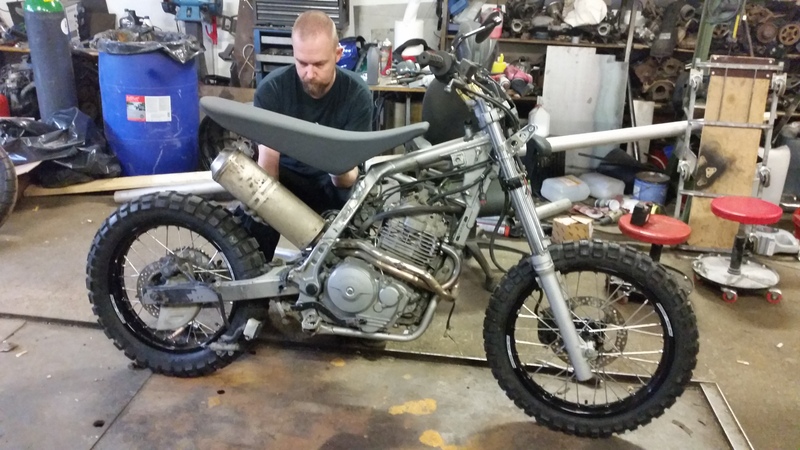 Hey Mekanikki, great bike that you have there to build, I will be followwing along for sure. The bike in the picture is the best looking 650 I've seen, especially the seat and tank combo! That exhaust is ok but you will probably want a silencer on there. 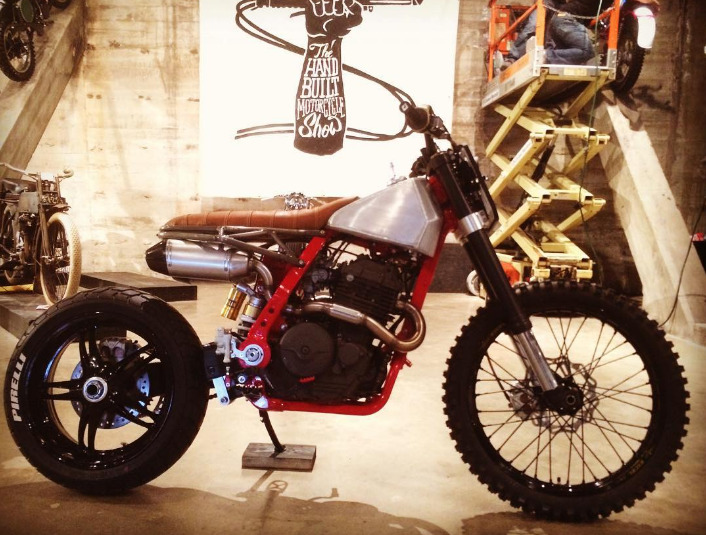 I would search for flat tracker pictures to get some exhaust ideas. I worked in Finland for about 6 months several years ago (a place called Lojia or something like that) and I loved it there you have a very beautiful country. 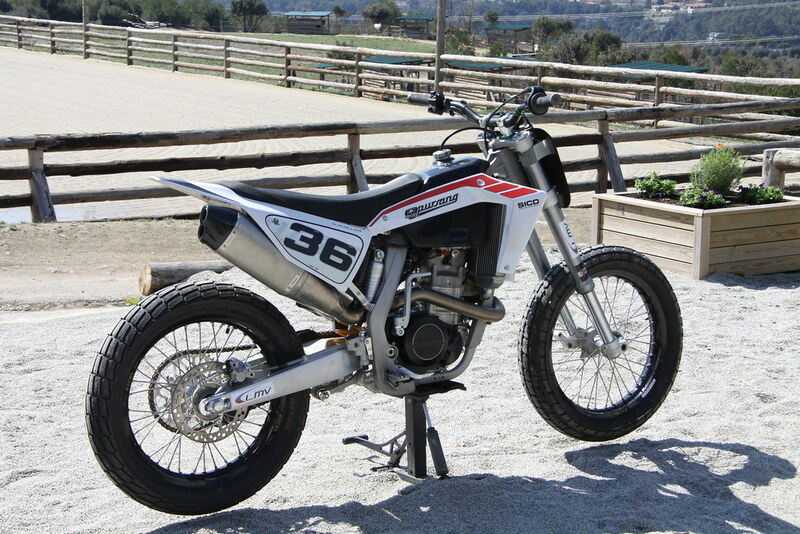 That 650 will be a great bike to have with all of the dirt and gravel roads there. Well then... Its been awhile! This is the way we're going now, less = more! 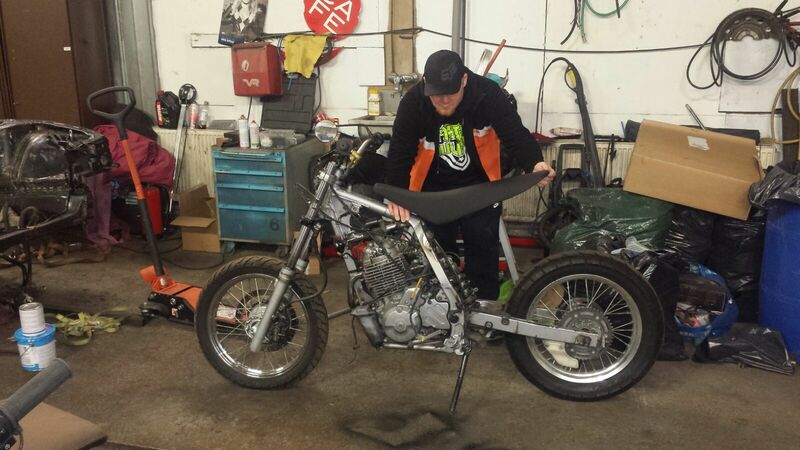 Subframe will follow the bottom of the seat and ideally it'll be almost out of sight. My friend will make the gas tank from scratch so it'll sit perfectly with the seat, etc. Damn... Time flies and work gets in the way of hobbies so progress has been slooooooow. Managed to get the new wheels under the bike a little while ago and had a little brainstorming session with my buddy how we should proceed. Here's a tiny teaser whats in the works. Hmmmmm there might be something there... I like those shrouds. What is that, a whole 1/2 square inch of tail light back there? Tell me that isn't the brake light also? That shouldn't be allowed on public roads.